Balancing along the spine of one of Gunung Rinjani’s ridges, Senaru is arguably the largest trekking centre on Lombok, even though most of the treks -- especially those heading to Rinjani’s true summit -- leave from Sembalun Lawang, about an hour to the east of here. Accommodation runs along the ridge, with some rooms offering truly breathtaking views over the steep valley and across to Rinjani’s spectacular peak. Even if you’re not planning on climbing the volcano, it is worth at least visiting Senaru for the views. The valley between Senaru and Teres Genit (the village to the east) aside from being darned pretty, with paddy and jungle in equal measure, is also home to a couple of waterfalls. One is impressive (and easy to reach), while the other requires a bit more effort to get to but is other-worldly in its beauty. Both are definitely worth visiting if you have the time. 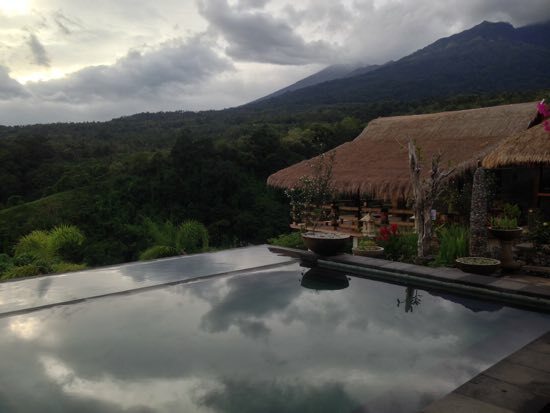 Rinjani Lodge delivers on views. 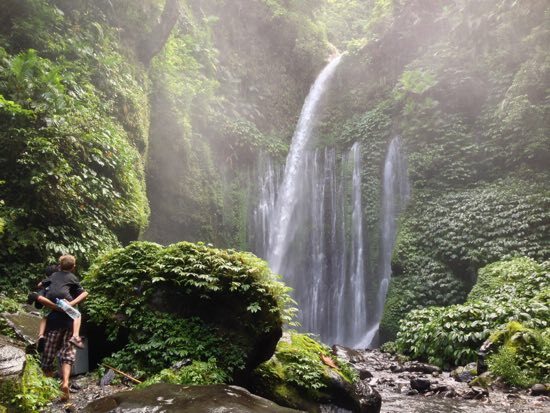 Aside from gawking at the scenery and getting drenched by the waterfalls, climbing Gunung Rinjani is the main reason people find themselves in Senaru. It is worth stating up front: This is not a climb to be taken lightly. The most common approach is a three-day, two-night climb beginning in Sembalun Lawang and taking you to the summit first, then along the crater rim and back to Senaru. It is possible to do this in reverse but this has you doing the most challenging part of the climb (the summit) well into the trek, so most opt to finish in Senaru. 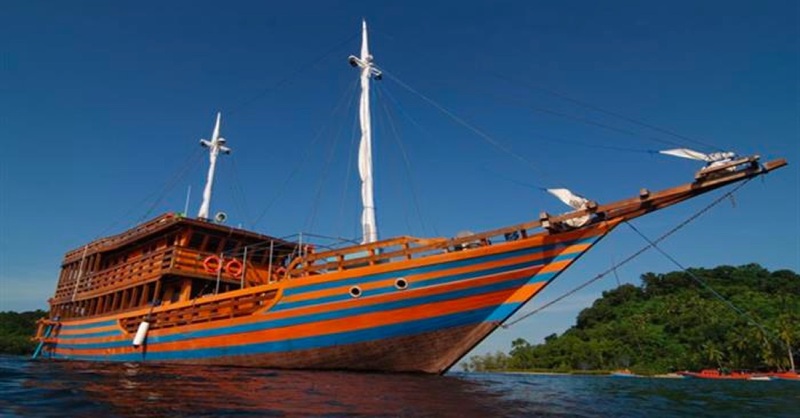 If you’re not feeling in the market to climb the second highest peak in Indonesia, there are a couple of more sedate affairs you can undertake, including a Panorama walk, which takes in the above mentioned waterfalls along with general scenery. 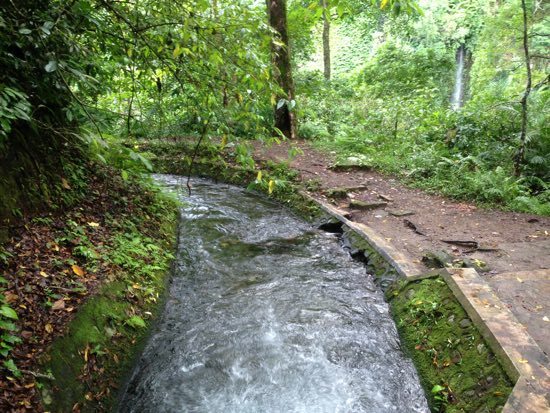 If you’re staying over in Rinjani Mountain Garden, there is a fairly straightforward walk you can do from there to a small hydroelectric power station which takes an hour or so. Other walks are available, including to hotsprings and other points of interest, but you will need a guide as there is nothing in the way of signposting. We met one traveller who hiked from Teres Genit to Senaru "freestyle" and while pretty, he said he spent have the day more or less lost -- despite being able to see one village from the other! If you do decide to go for a wander by yourself, be sure to take a sufficient supply of water, a hat and sunscreen. Also, watch out for dogs -- there are a lot, and not all struck us as all that friendly. Senaru has a single road that runs through the middle of it with most accommodation on the eastern side of it. There is now at least one ATM in Senaru. WiFi is available at some guesthouses and restaurants and 3G also works reasonably well. If you’re travelling by public transport, you’ll be dropped at Bayan, from where you’ll need to get an ojek up the hill to Senaru -- it is not walking distance! Use the above map to find specific destinations in and around Senaru which are listed on Travelfish. Bed icons indicate a guesthouse, hostel or hotel, the knife and fork is an eatery or bar and the four-way circular thingy marks sights, attractions and other points of interest. Click on any icon for a short pop-up and a direct link to the page for that spot. If you are in the area, use the teardrop icon near the top left to show your position on the map (you'll need to allow position sharing for this last feature to work).